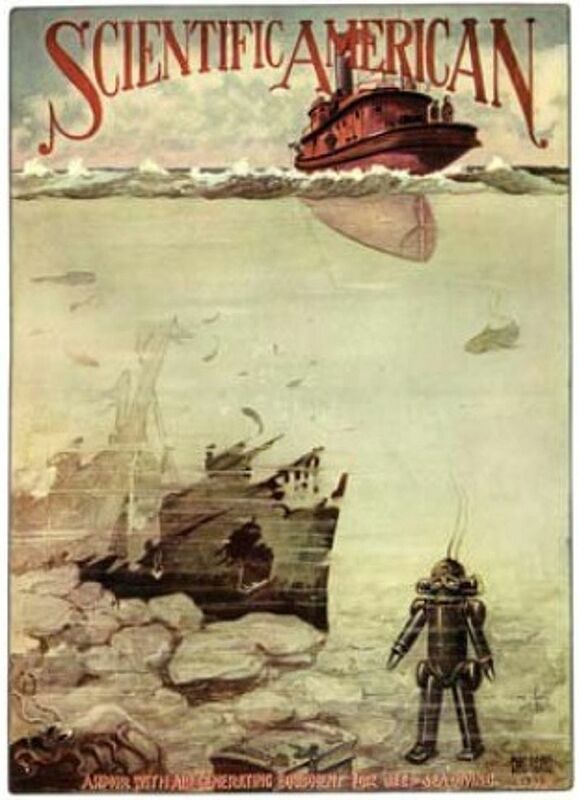 In several descriptions there are explanations that the scrubbers both removed carbon dioxide and produced oxygen. For this process electrical energy was feed to the system from the surface. 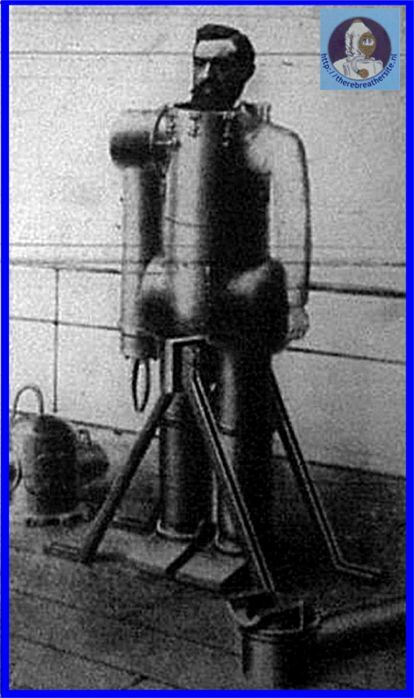 Regulating valves kept the pressure in the helmet constant. 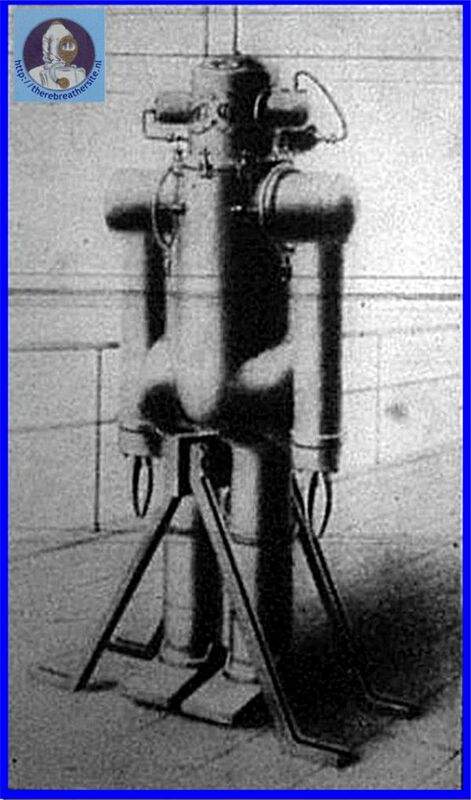 It seems to me that the valves were electrically actuated, but the oxygen production and carbon dioxide extraction were mechanical processes. I would like to express my thanks to Mr. Richard Walsby for informing me about the missing Pluvy information. Also I would like to ask to sent me any information you have about Mr. M. de Pluvy. I will add it to this ADS database. Any information about AD suits before 1906 not mentioned here are most welcome to complete the database! 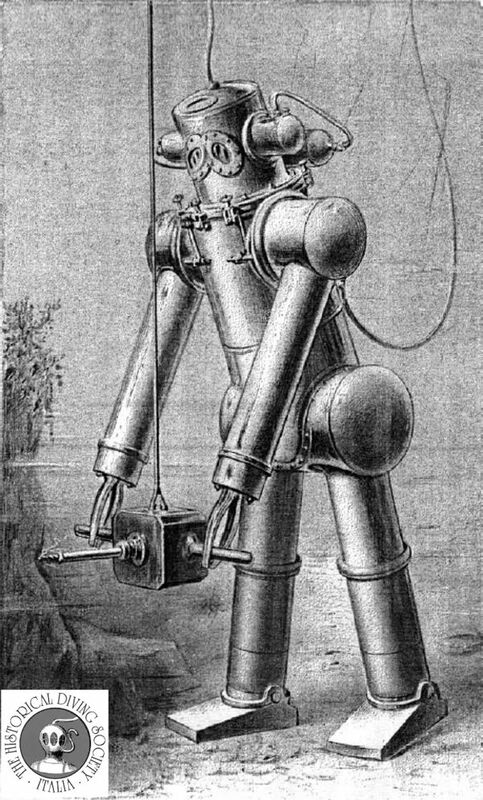 M. de Pluvy made one of the first regenerative type of atmospheric diving suits. 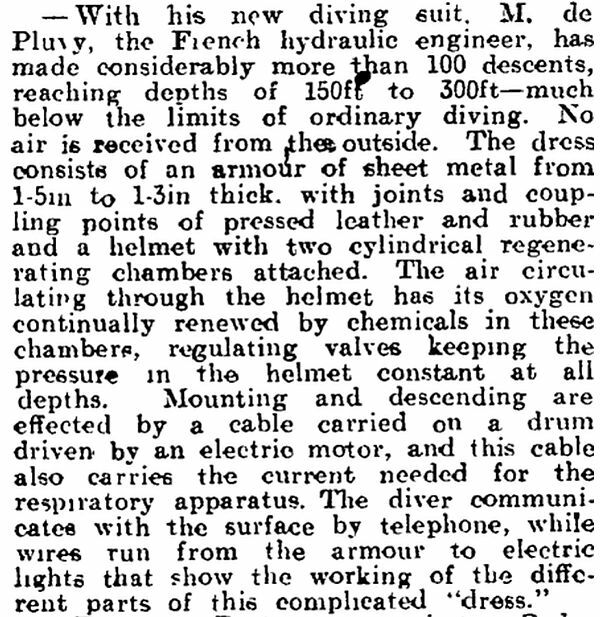 Mr. Pluvy claimed to have made several dives to 100 meters with his suit. Although the joints were made of leather and rubber the suit seems to have worked.